Will the ceiling hold? 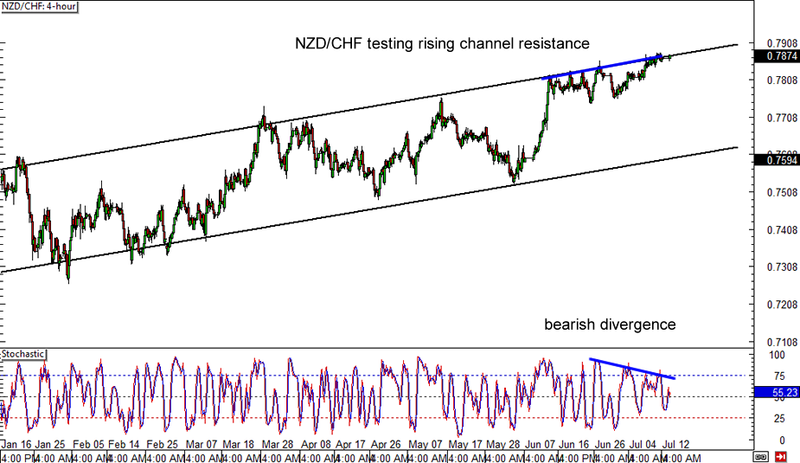 NZD/CHF has been testing the top of the rising channel on its 4-hour forex chart for quite some time now, indicating that buyers are stubbornly refusing to let price drop. However, a bearish divergence has formed, as stochastic has made lower highs while price made higher highs. This could be a sign that sellers are ready to jump in sooner or later, potentially pushing the pair back to the bottom of the channel or at least until the middle at the .7700 major psychological level. Do stay on your toes for a potential upside break though! Looks like parity held like a boss for AUD/CAD once again! 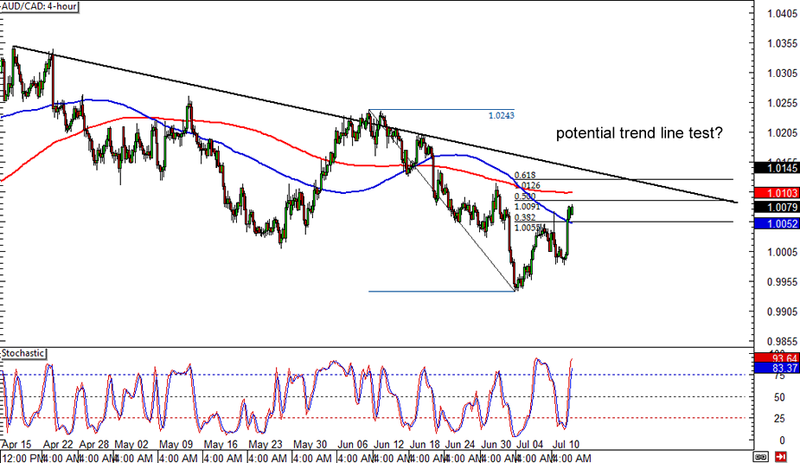 The downtrend is still intact though, as a falling trend line can be drawn to connect the latest highs on the 4-hour forex chart. Stochastic is climbing, which means that there’s enough buying momentum to push the pair up to the trend line resistance once again. The 200 SMA could hold as resistance, as this is close to the trend line and the 61.8% Fibonacci retracement level. Watch out for reversal candlesticks at the 1.0150 minor psychological resistance if you’re thinking of shorting. 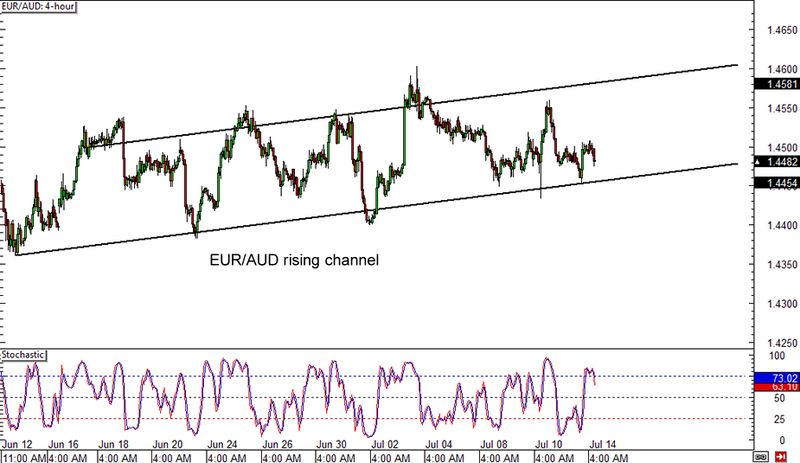 EUR/AUD has been moving inside a rising channel on its 4-hour forex time frame, with the pair hovering close to the channel support. Stochastic looks poised to head lower from the overbought area, indicating that sellers could be in control of price action later on. In that case, a breakdown might be in the cards and EUR/AUD could resume its longer-term selloff. Keep your eyes glued on the bottom of the channel or the 1.4500 major psychological level, as any long red candlesticks below that area could be a sign that EUR/AUD is headed lower.